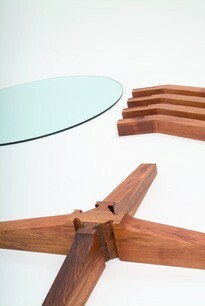 The resulting table is of a dry jointed structure, using no glue that may give way over time or different climatic situa- tions. 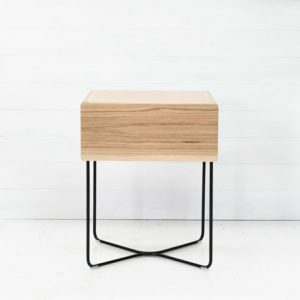 At its’ heart is a derivation of the classic dovetail joint which works with gravity to create an exceptionally strong and resilient structure. The basic leg component can be com- bined with differing lengths of rails to offer a range of sizes for different appli- cations. Flat packing and ease of assem- bly allows for economical shipping and storage. 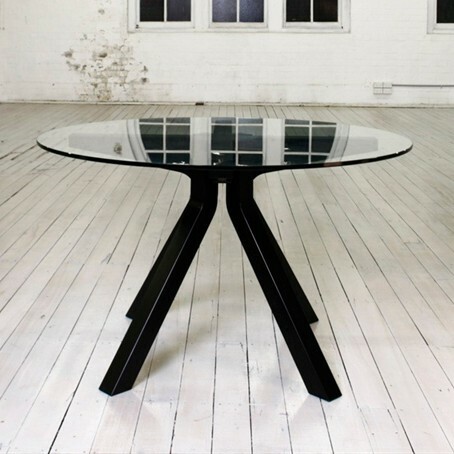 The standard table, as exhibited, is 1200mm in diameter and 730mm high and is made from Tasmanian Blackwood and with a glass top to allow maximum appreciation of the structure. 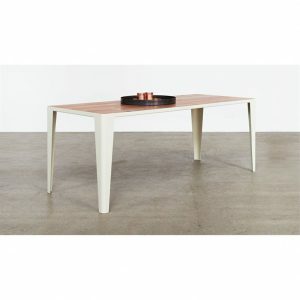 It is also available with an alternate timber or marble top. 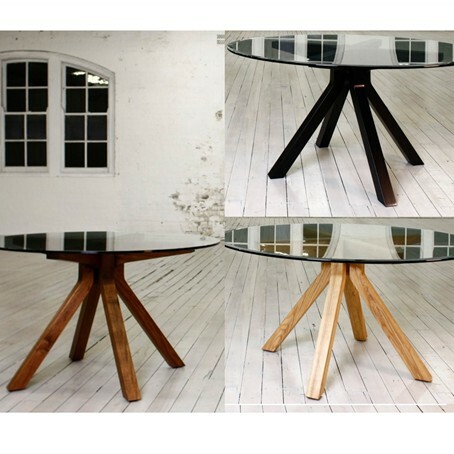 Clear polished Tasmanian Blackwood, or with black, Walnut and Wenge stain. Contact Workshopped for shipping price. 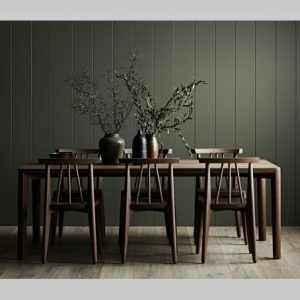 Jonathan Ingram is a Sydney based designer whose primary focus is furniture design with work ranging from exclusive one off pieces to volume production design, as well as bespoke interior design projects. 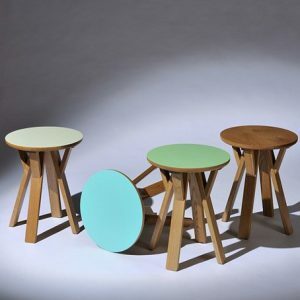 Originally studying furniture making and design under George Ingham while completing a visual arts degree at Canberra Institute of the Arts, Ingram then continued with post-graduate design studies at UTS before setting up his studio based practice INDE in 1999. 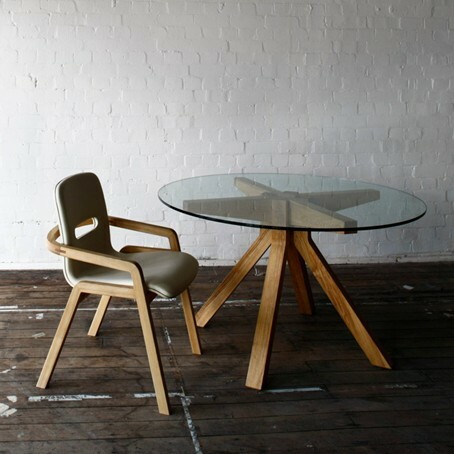 Parallel and integral to his design practice is INDE workshop which, supported by a team of superbly skilled makers, provide prototyping and high quality local manufacture of both furniture and interior joinery, and successful collaboration with other designers and architects for specific projects.